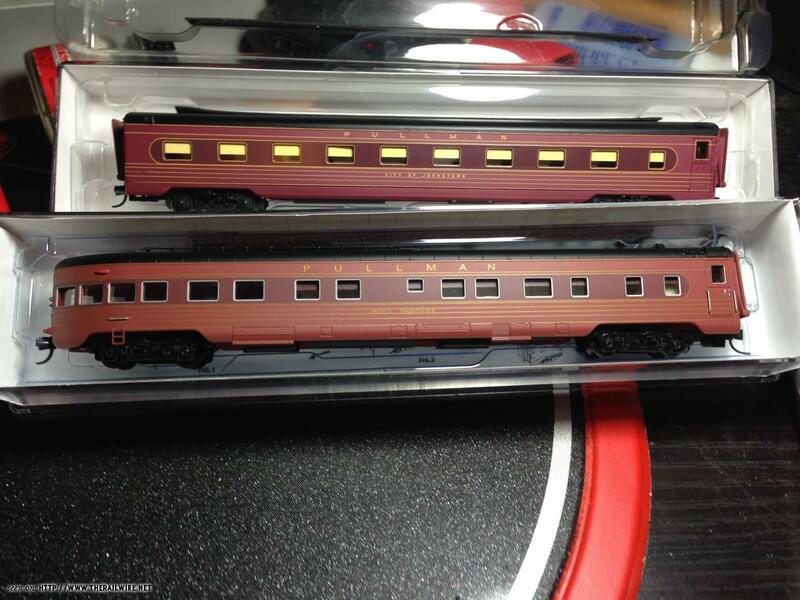 PRR T-1 Duplex passenger cars? I usually run C&O, B&O and WM trains, but I'm thinking of buying a BLI PRR T-1 Duplex. What passenger cars did this locomotive typically pull? Heavy weights? Streamline? Other? Re: PRR T-1 Duplex passenger cars? Mix of the above, even was used for mail and express trains. Diesels pushed them off the 1st class trains pretty quick. I'd go with streamlined "Fleet of Modernism" cars. The T1 pulled them and they look darn cool behind that engine. I'm assuming you are asking for what it pulled when it was in its prime, not when it was relegated to freight service and was covered in dirt. By the end of WWII, the PRR passenger fleet was pretty tattered. By 1948, the top passenger trains were led by diesels. The T1s were bumped to secondary trains and mail & express trains. The secondary passenger trains were a mix of heavyweight and lightweight cars with a good variety of headend cars. IMHO, much more interesting than solid matched consists which were the exception rather than the rule. The two-toned streamline paint (FOM) from the pre-war cars were increasingly rare in the post-war years. Thanks for the info. Dougnelson, I like the mismatched idea. It will make it easier finding rolling-stock/passenger cars. In honor of your user name, here's an example of the kind of train a T1 spent most of its time hauling - PRR #6 from St. Louis to Pittsburgh, a jumped-up coach train that acquired some sleepers for a while in the late '40s and with them, a name - "The Allegheny". It left St. Louis with a B60b for Boston. a pair of 12-1 sleepers, a 10-section / lounge car, and a brace of modernized, streamlined P70kR or P70gsR coaches. At Indianapolis it dropped a 12-1 in exchange for a 10-1-2. At Dayton it picked up a mail storage car, which could be any number of headend cars including an express X-29. At Columbus it dropped the other 12-1 and picked up a diner for breakfast, with a late morning arrival at Pittsburgh with the two headend cars (more at heavy mailing times), two sleepers, a heavyweight diner, and a few streamlined coaches. So definitely a mishmash! Since so many of the cars mentioned are not available, I have resigned myself to allowing anything, after all this IS the PRR here. Ed's law definitely applies. The T1 was not ALWAYS head end power for name trains either. 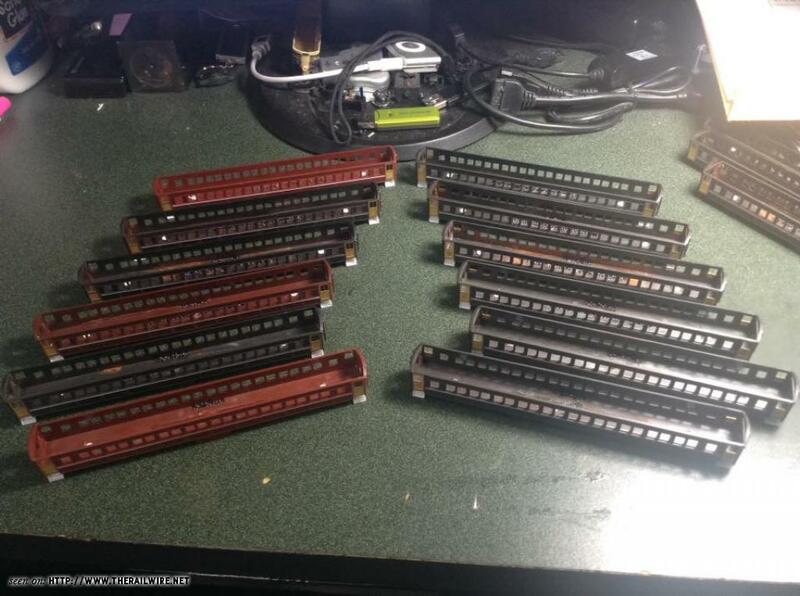 I am simply making a fleet of P70's and head end cars to put behind my T1, 3768 K4 and Bachmann K4's, and when the other cars are available I'll get some. What about when it's pre mix matched from the same manufacturer? I also want you to know I die a little inside when I see a dash between the letters and numbers in PRR loco designations. 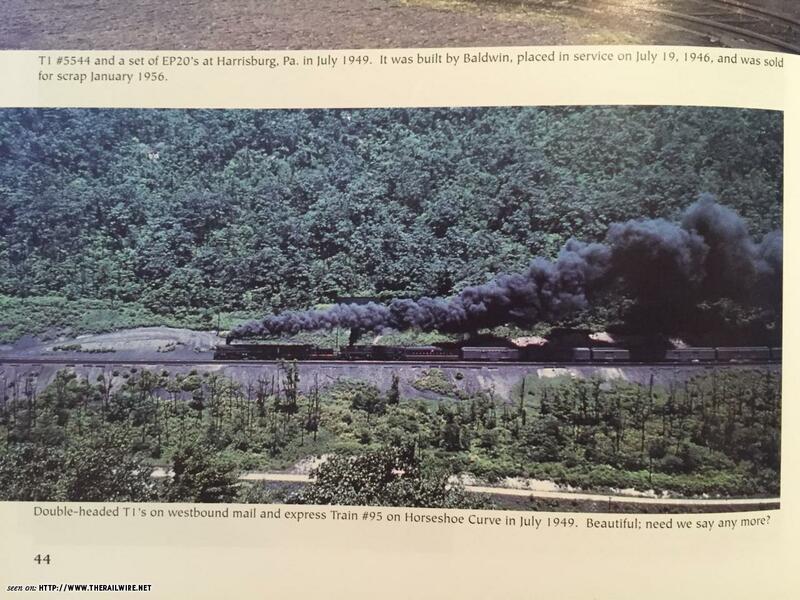 PRR7161 - Great info on "The Allegheny". I may have missed an opportunity at my LHS. They had a Con-Cor Smoothside Set Pennsylvania Railroad ''Loewy Design'' #2 at a higher price than I wanted to spend. Sure enough when I went back they were sold. I have some plain Pullman cars that I can use until I can find appropriate PRR livery cars. A lot of the cars are available you just have to build em! I would say that probably is one of the named trains with its consist of Modernized P70’s and some Pullman’s. When the PRR was trying to sell off its T1 locos, the C&O briefly tested one (or two) of them, so you could make a case for running C&O passenger cars behind a PRR T1. Those monsters! At least they get it right in the body of text.